Pre- Did You find a new website to share with Us here at ATS™? So: Are you suggesting that birds are resposible for crop-circles? Or are you suggesting that birds might be resposible for 9/11? That's from Aug 11th, 2001. Tight lil bow tied on top of conspiracy. Nice n' neat like. Maybe they are telling us they used directed energy to make the towers fall into footprints? No that was Judy Wood telling us that. Have you seen footage of towers falling and the aftermath? Is there any images of footage showing this constantly repeated garbage of falling into their own footprint? Just a square design, imprinted, trespassed, in a binary format, which most likely took a great deal of effort to be planned, and completed ...on that exact date, during the night hours, (destroying massive amounts of private property) .. showing a diagram that can be very well be conceived of path downwards, one year exactly before the most major event in human history including towers falling down occurred... NOW that's coincidence. 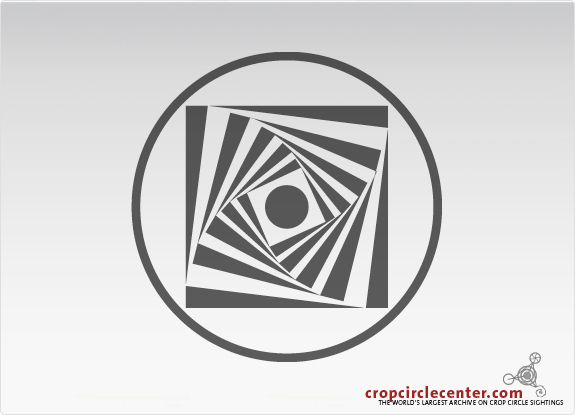 what about the other crop circle in the same place on the same day? It was a spiral one, how does that fit your 'puttin it out there'?